This is classed as a pre-workout that contains no caffeine. It is designed to be used to maximise physical performance without the aid of caffeine or other neuro-stimulants. It works by increasing oxygen and nutrient delivery to muscles to assist in increasing stamina and physical energy output, forcing the consumer to go beyond their physical limits. 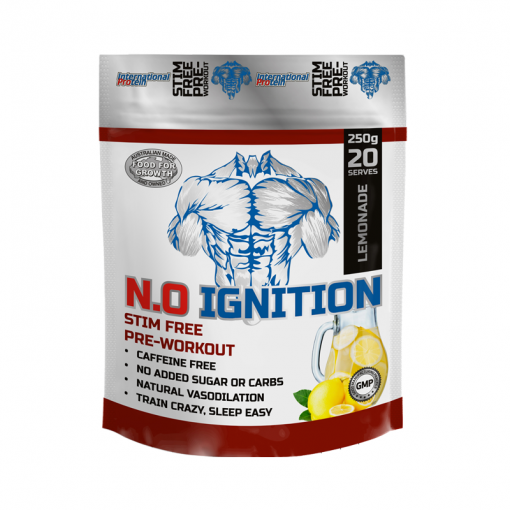 N.O Ignition is a high potency, pre-workout formula designed to maximise your workout intensity. It does this by enhancing your pumps, intensifying your focus, and maximising your muscle strength. This formula has its own way of enhancing your body’s metabolic pathways to intensify pumps and therefore create an oxygen and nutrient rich environment for your muscles to grow in. 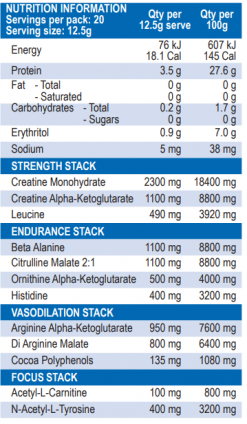 This product has a whole new approach to optimise your workout power. 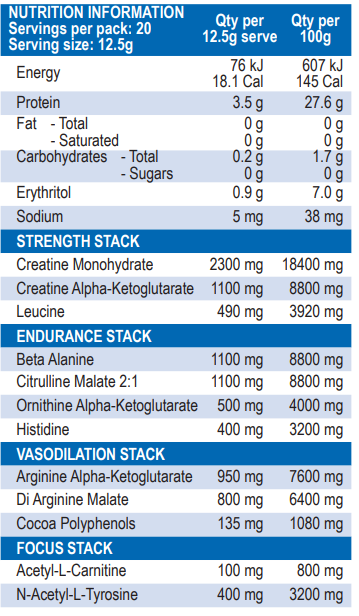 Use one (1) scoop and consume with 300ml of water 30minutes prior to exercise.